Continuing January's list of top marine species found in the Greater Santa Barbara Ecosytem's (GSBE), today's post is a just-for-fun but sobering quiz on our top alien marine species. Aliens is a term used to describe species not native to an area, also referred to as exotic and non-indigenous. What is or isn't native usually assumes a time frame of thousands of years, while some species may be categorized as cryptogenic, meaning origin is obscure. A marine species that arrived in the year 1776 to the Santa Barbara area (as one example) would not be considered a native. Natives require fossil or cultural evidence dating the occurrence of a species in an ecosystem for many hundreds if not thousands of years, during which time the species and habitat have co-evolved . Synonyms for non-native are non-indigenous, exotic, and introduced. When an alien becomes obnoxious, damaging its new ecosystem in notable ways, it earns the classification of an invasive species, or nuisance species. Any invasive species is both a non-native and also has proven destructive to the primary ecosystem, either species or habitat. Exotics tend to out-compete natives, may prey upon natives who lack evolutionary defenses, or just plain dominate a niche in other ways, such as out-eating or hijacking all spaces, as invasive tunicates are known to do. In all cases they alter the original evolutionary ecosystem. Some exotics were introduced intentionally, either for sports fishing (e.g. striped bass) or other reasons, but most arrived accidentally through vectors such as ship ballasts, bait packing, or aquarium releases. So, while the aliens reduce biological diversity worldwide by extinguishing natives, the good news is that under the worst imaginable environmental changes, some species will probably survive even catastrophic events, in which case, they would be the next evolvers. Which of the species below found in our area is included among the 100 top (most obnoxious) invasive species in the world? Which of these species could be voted most likely to succeed (thrive under all predicted conditions of climate changes) in 2050? Number 18 in the world's 100 most invasive species is the European green crab, top right among the pebbles. Carcinus maenas is native to Europe and northern Africa and has been introduced to the North America, Australia, parts of South America and South Africa. It is a voracious food generalist and in some locations of its introduced range it has caused the decline of other crab and bivalve species. All four of the species imaged in this post would be good bets to survive huge variations in temperatures of oceans, acidity, nutrients, eutrophication, and pollution. All adapt to a wide range of environmental conditions. Tunicates also appear in many 100 worst invasive species list by areas.Tunicate species (top and bottom left) are pioneer colonizers of any flat surface in the ocean, living, dead, human-made or natural. They reproduce rapidly (most are hermaphrodites), tolerate a wide range of temperatures, acidity, and pollution, have no known predators,and tend to be suspension feeders on a wide variety of food possibilities. Tunicates are known to hibernate under stressful conditions and reappear when conditions change.The sea squirt (top left Ciona intestinalis) out competes most native species for space and food. Didemnum vexillum, bottom left, may have originated around Japan but is now found almost everywhere. In my biological oceanography class of last winter, settlement plates were placed to determine which species were settling over several months in the harbor area ocean bottom. 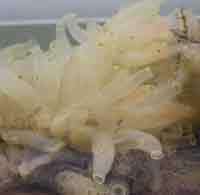 Almost all showed healthy growths of tunicates. 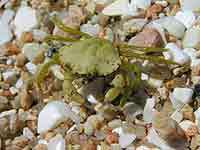 Green crabs are also known to tolerate a huge range of salinities, temperatures, currents, and sediment types (mud, sand, grasses, and rocks). This crab is a voracious predator that has had catastrophic effects on fisheries world wide, including other crab industries, mussels, oysters, and clams. Jellyfish, like the other species featured in today's post, have been appearing in record numbers world wide, and like the green crab, with devastating impacts on many fisheries. 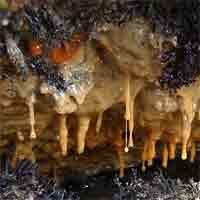 This species has adapted to environmental conditions over the past 500 or more million years, making it one of the oldest living multi-organed animals. 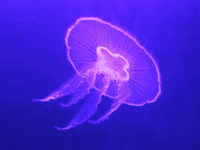 Because it seems to do well under many of the conditions characterizing climate change in the 21st century, betting on jellyfish to succeed under all predicted climate changes is a relatively safe bet.